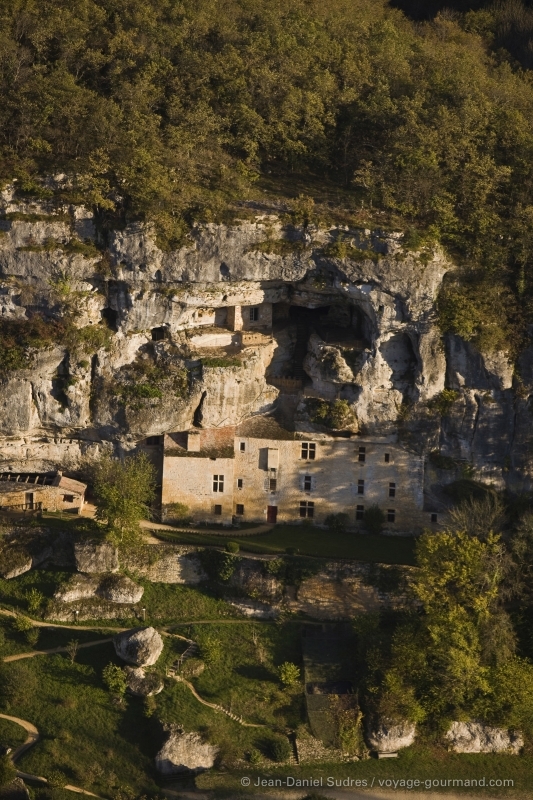 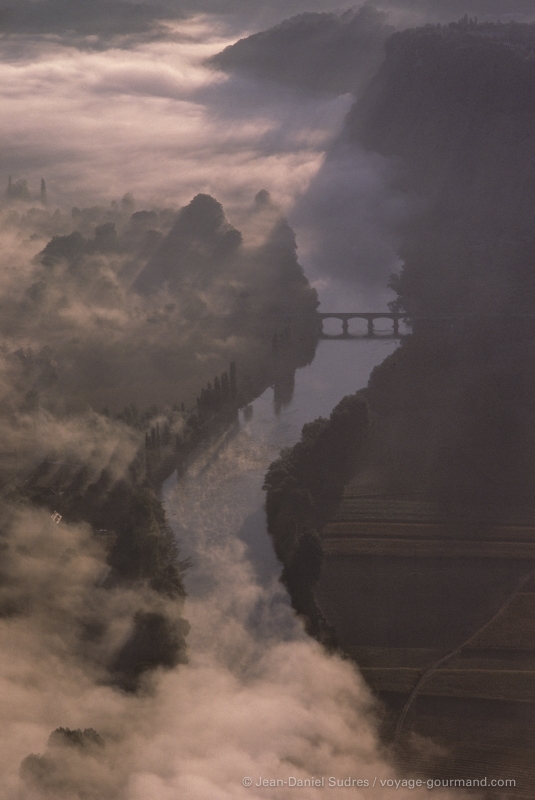 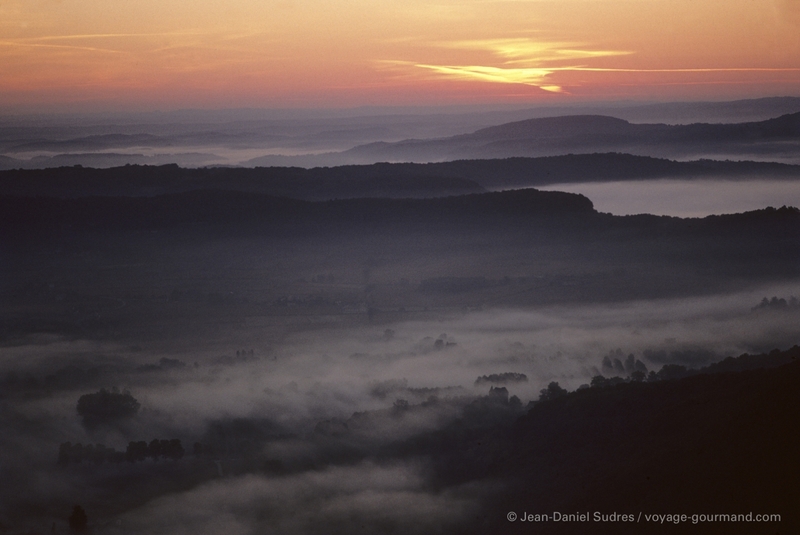 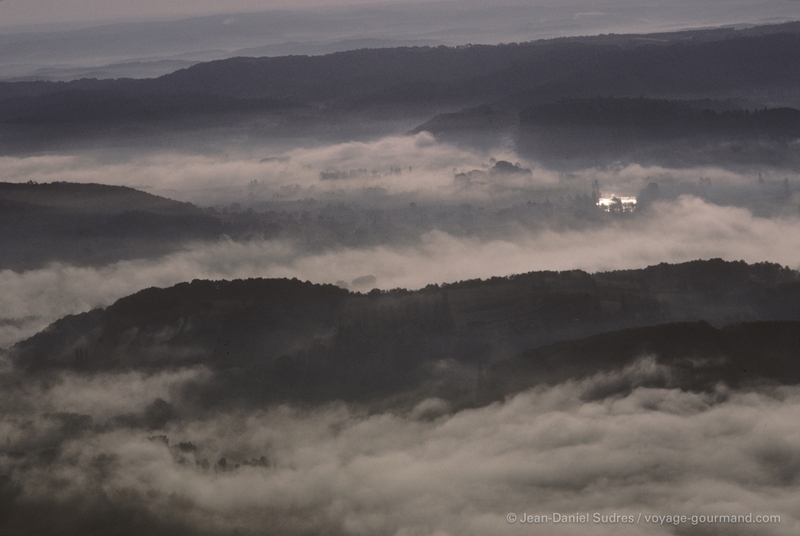 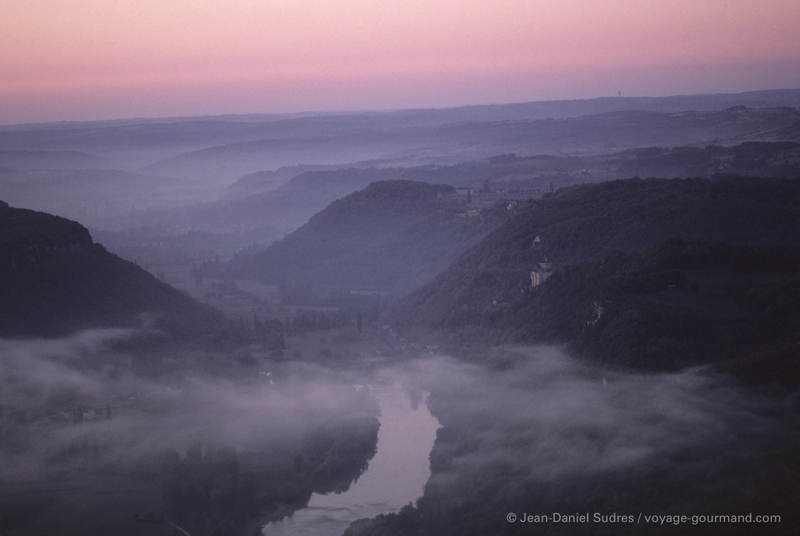 In the South-West of France, there is a land said to be “of wonders”: the Perigord. 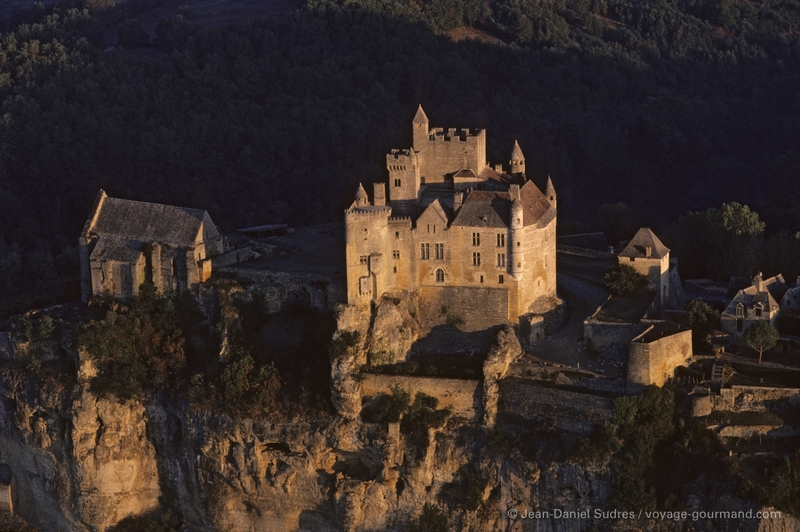 Among its wonders, we can count over a thousand castles built over the course of the centuries along the mythical valleys of the Vézère and the Dordogne. 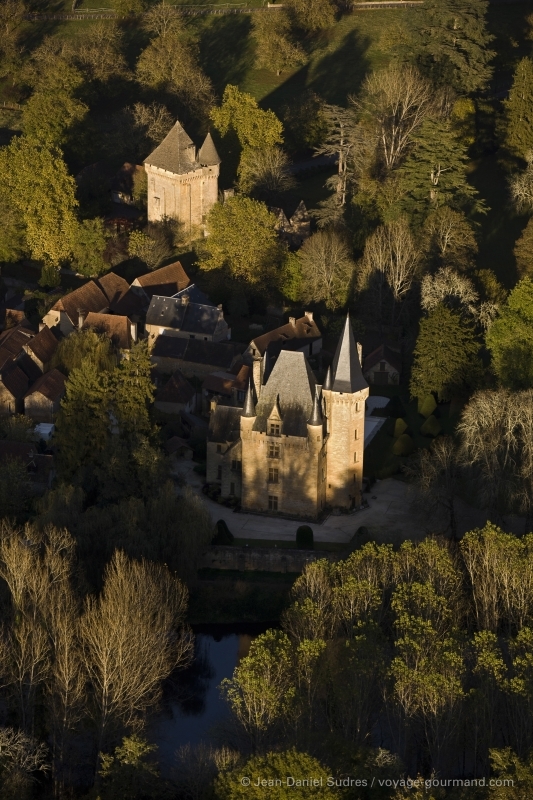 Discover aerial views of a number of these. 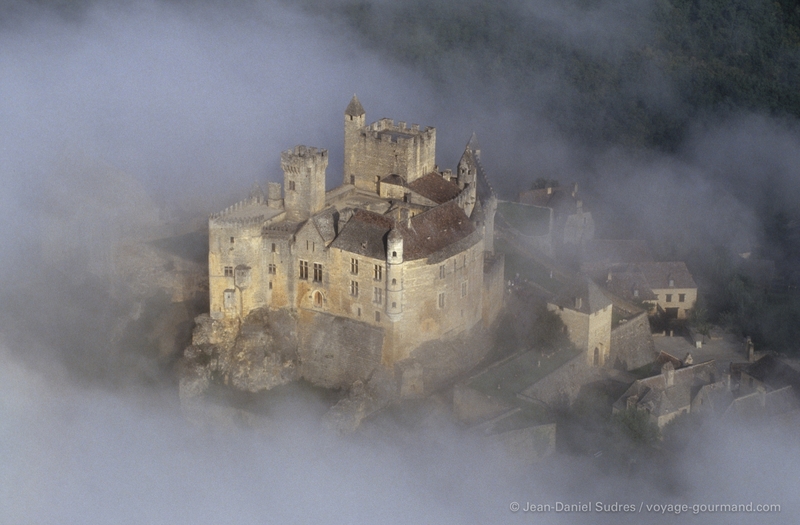 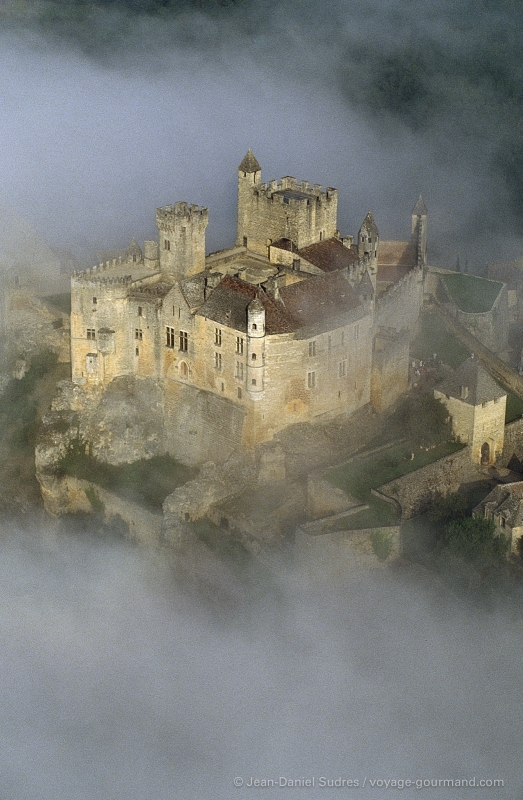 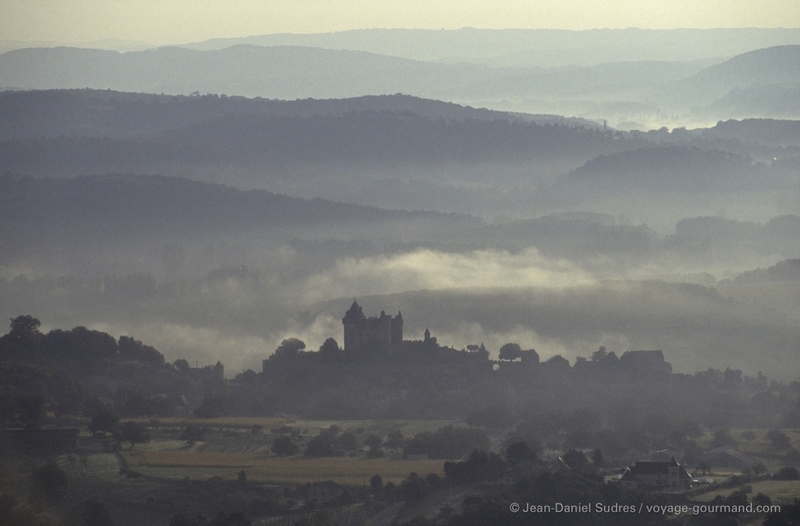 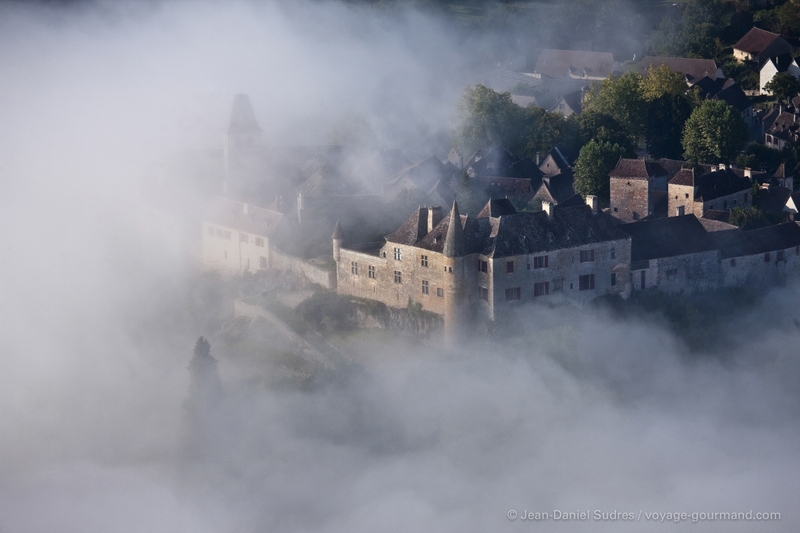 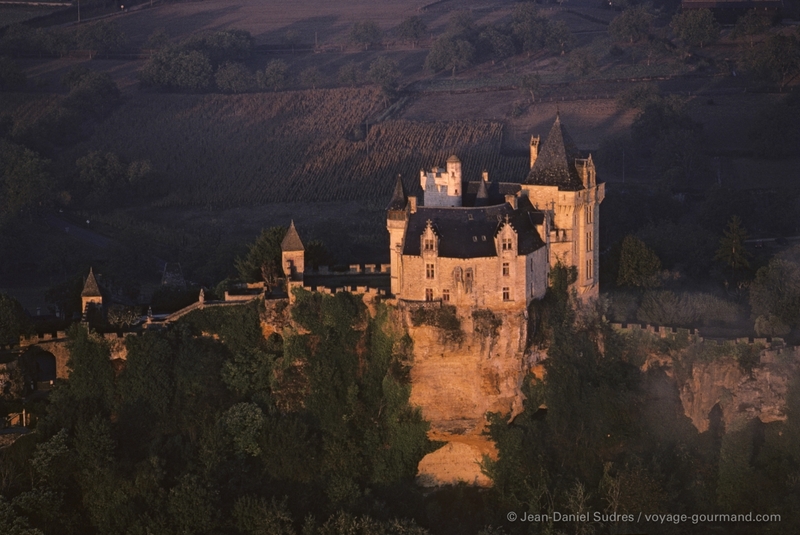 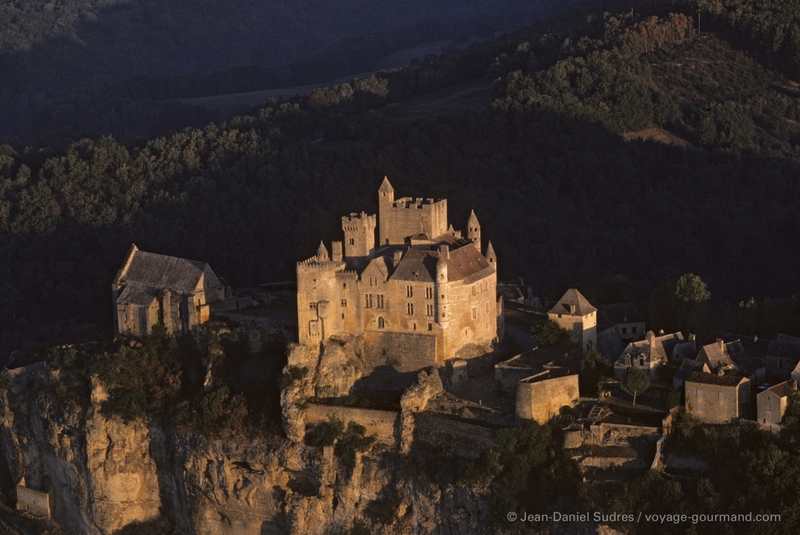 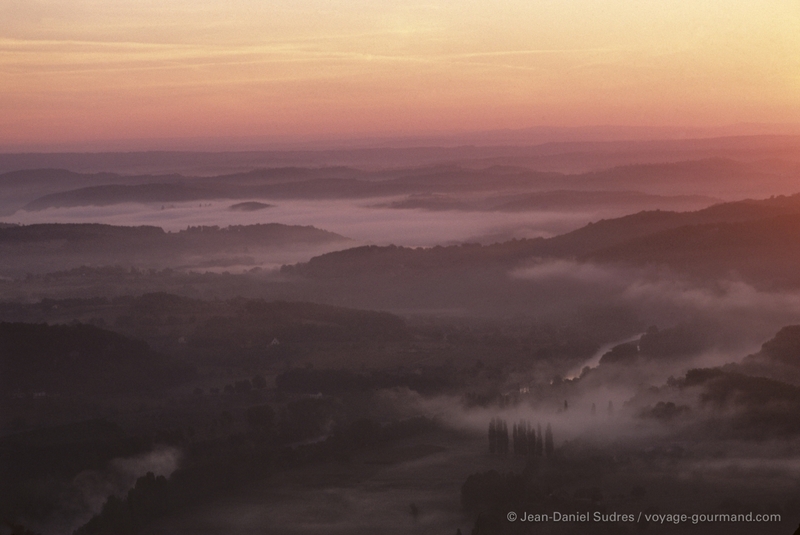 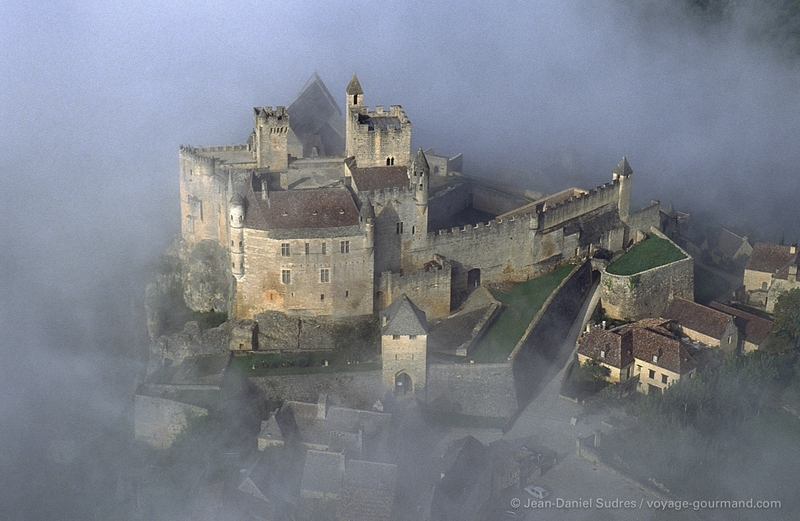 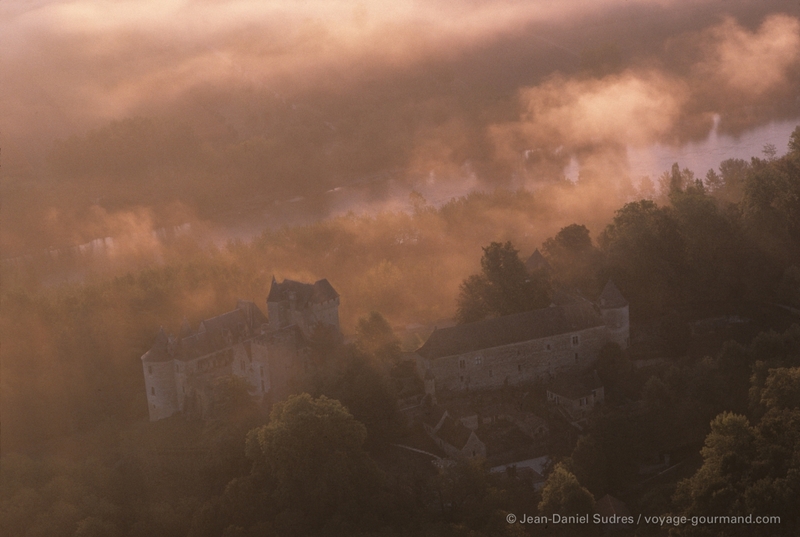 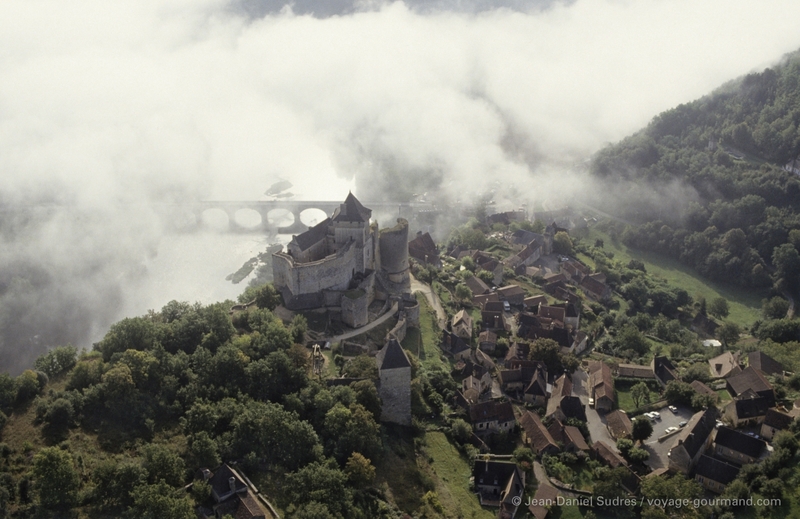 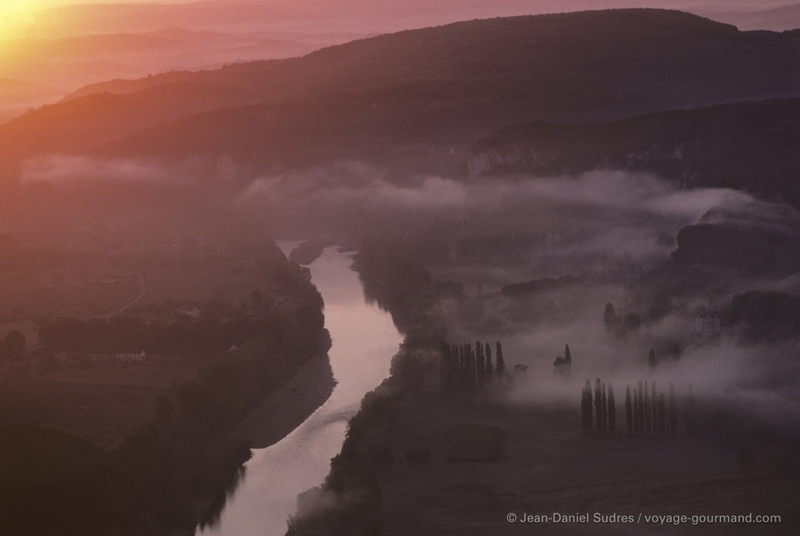 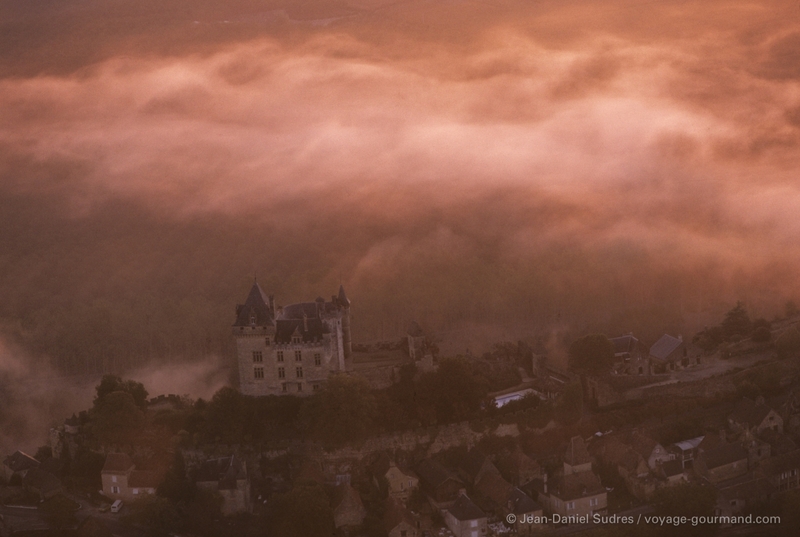 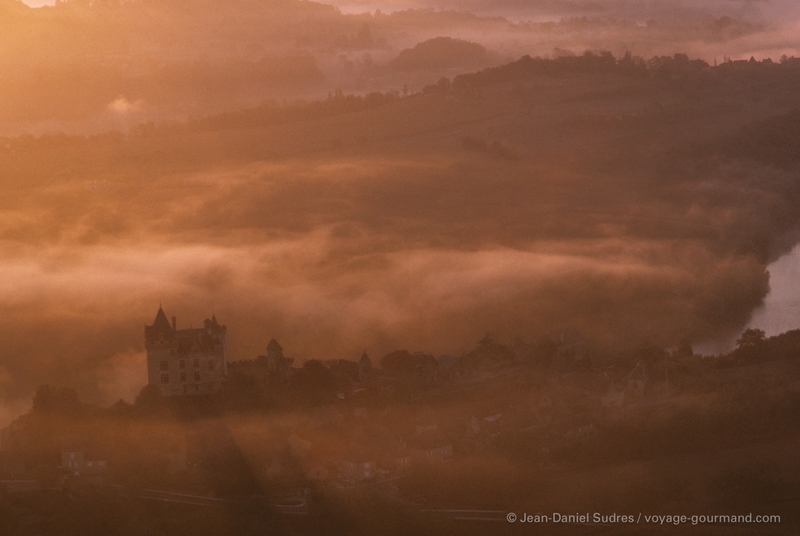 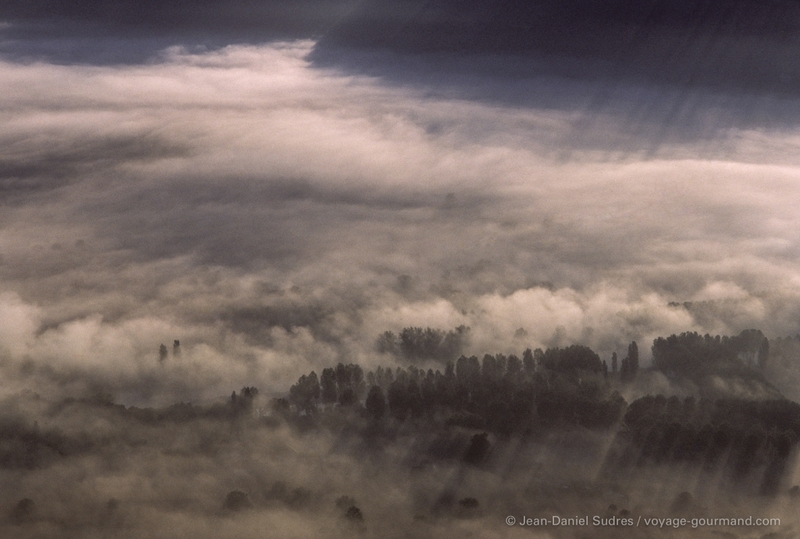 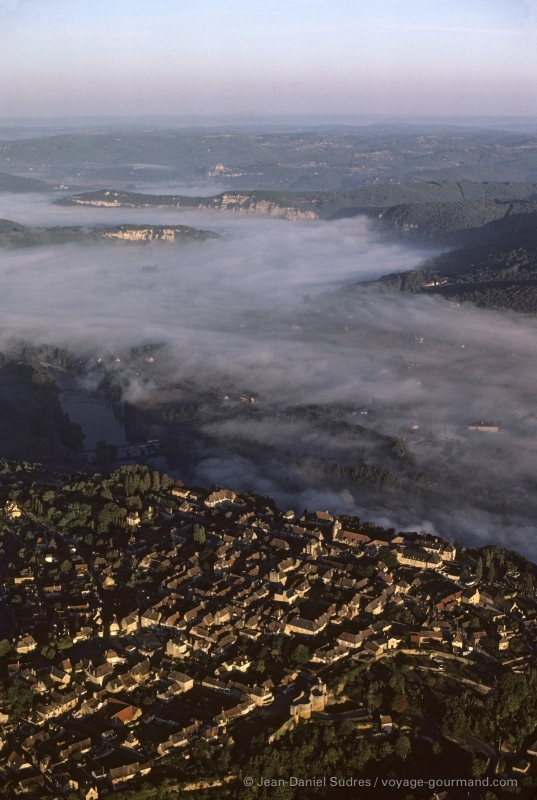 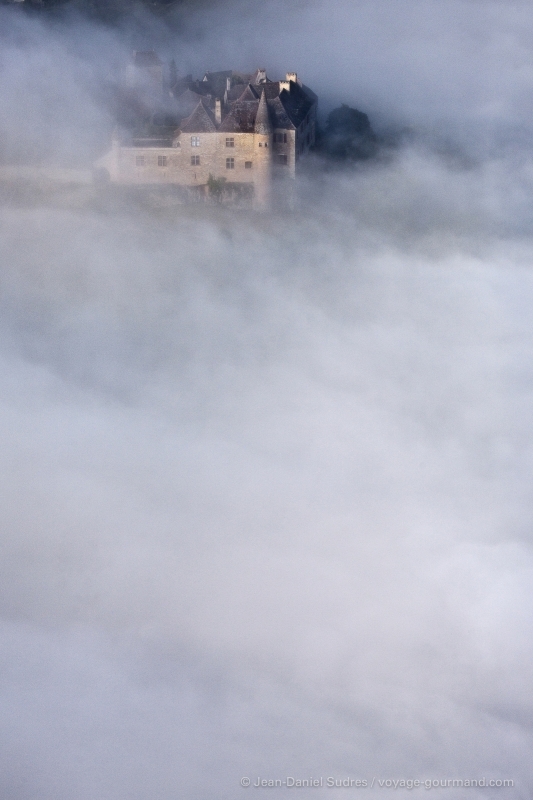 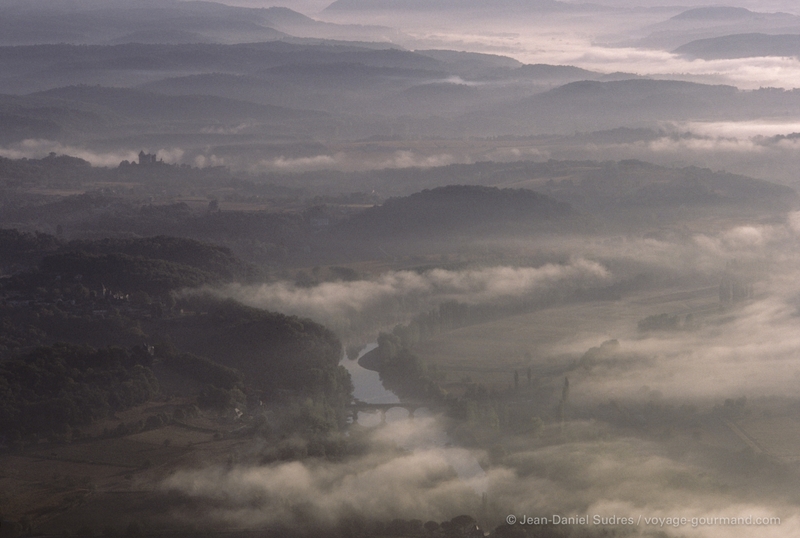 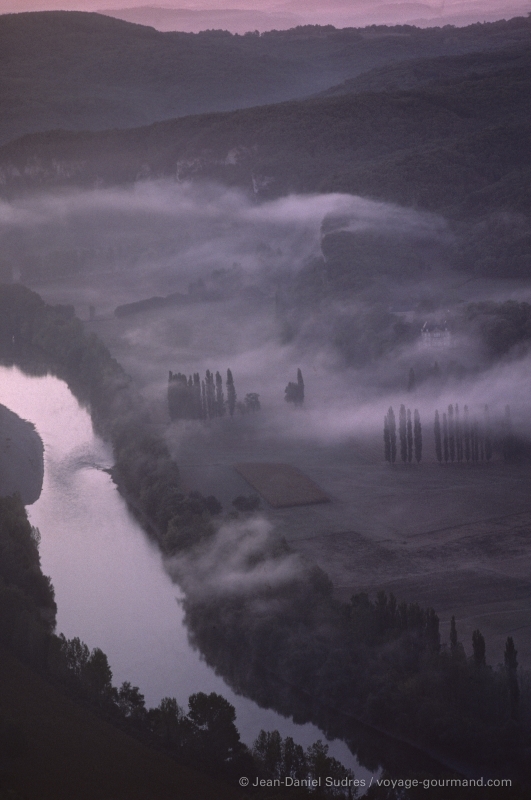 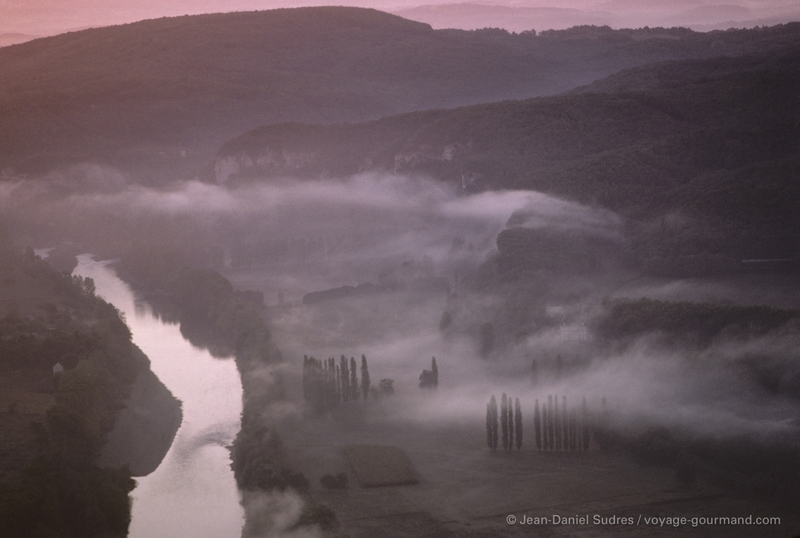 A medieval fortress perched atop a cliff overlooking the Dordogne, the Beynac Castle stands in the misty dawn. 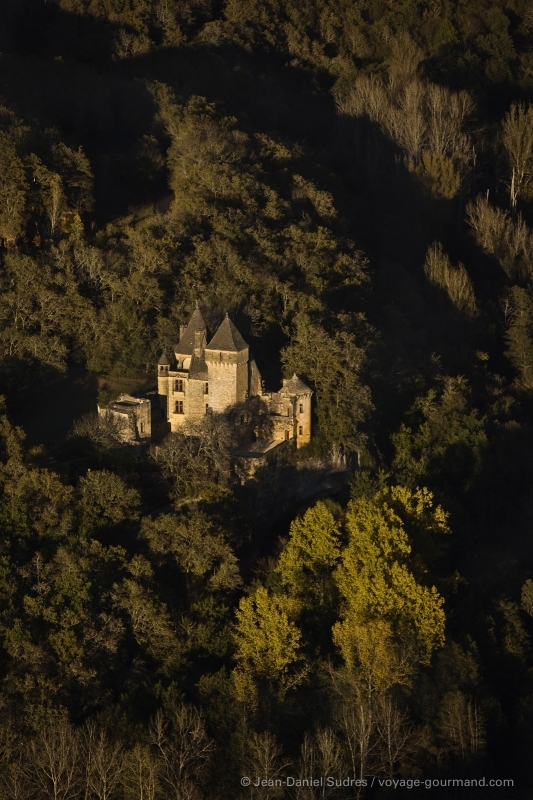 Nestled in the lush greenery, the castle of Milandes and of Fayrac, the castle of Marqueyssac and its gardens. 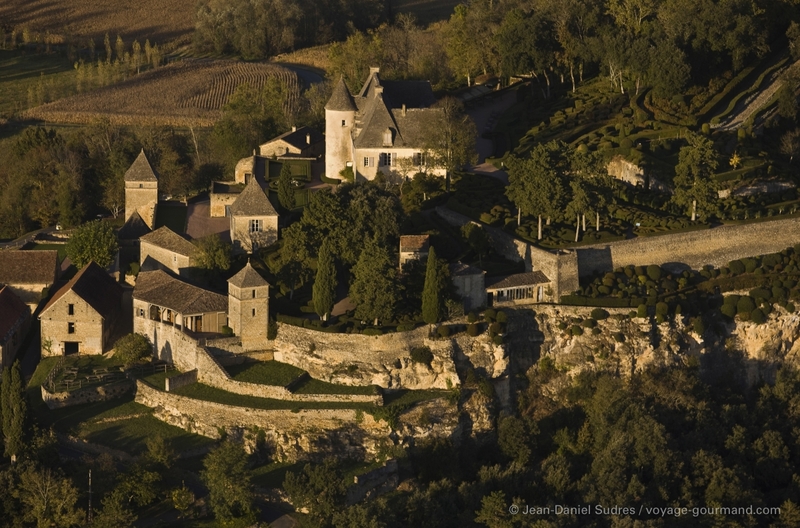 The castle of Castelnaud la Chapelle and of Montfort, with their villages at the foot of the ramparts. 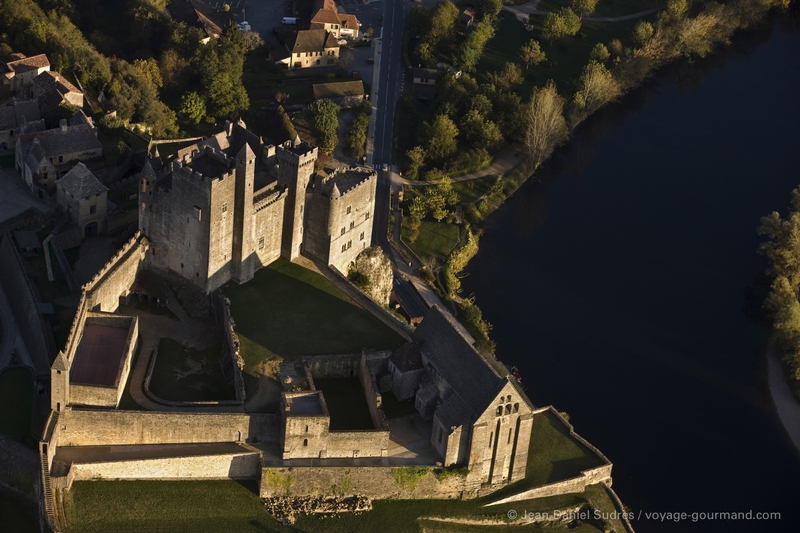 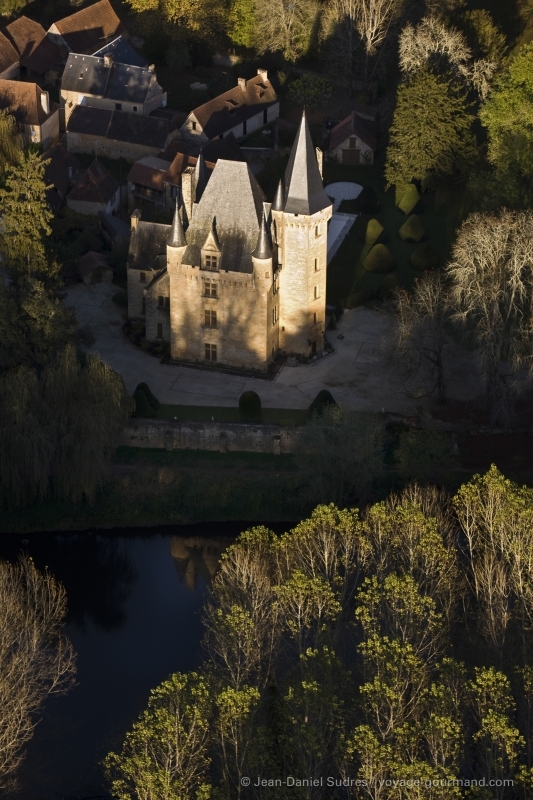 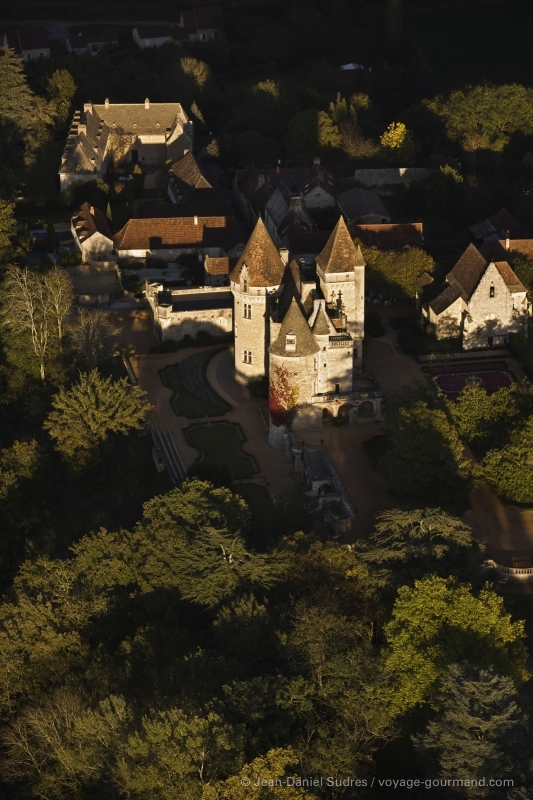 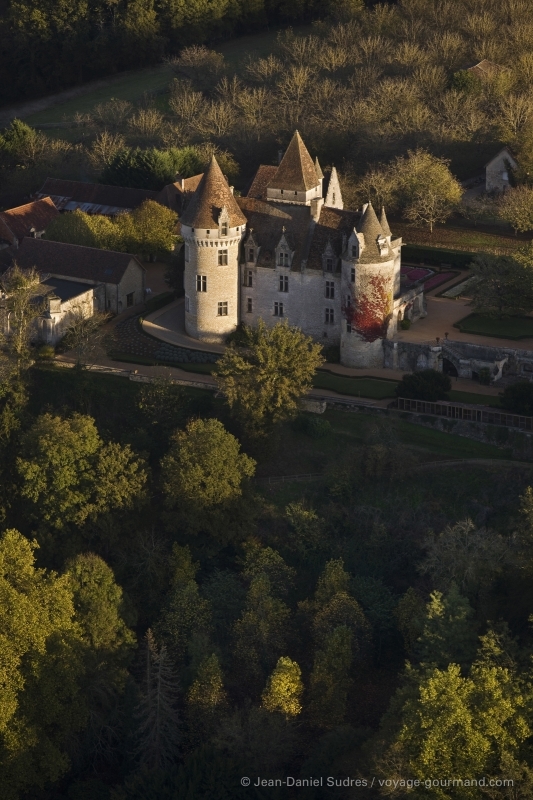 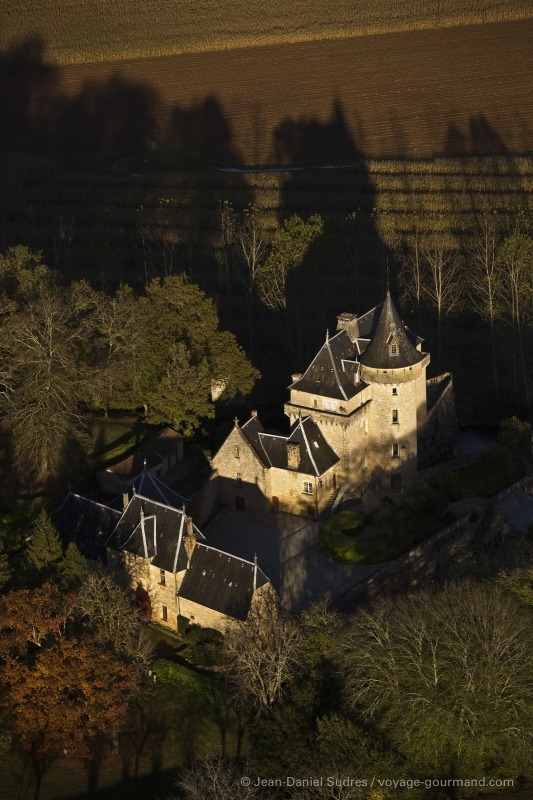 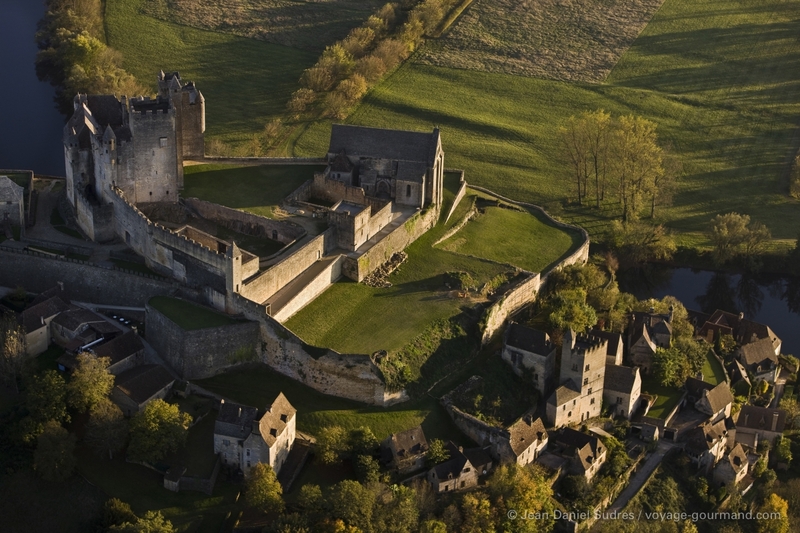 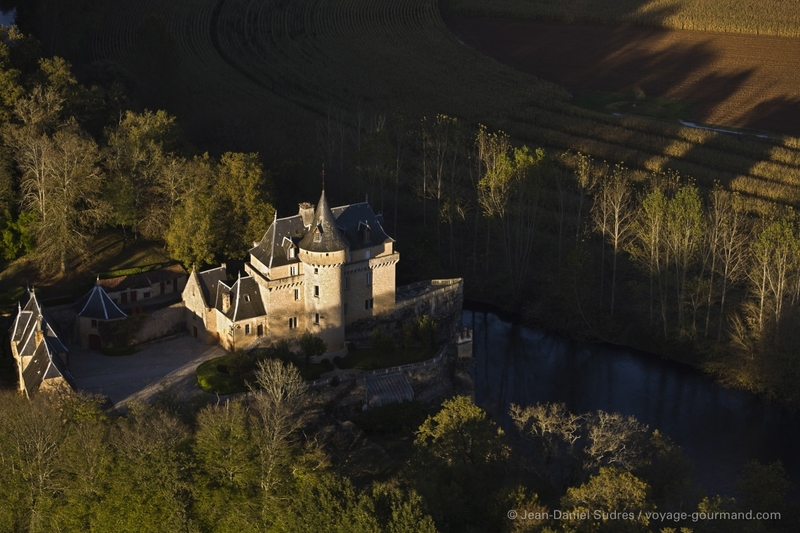 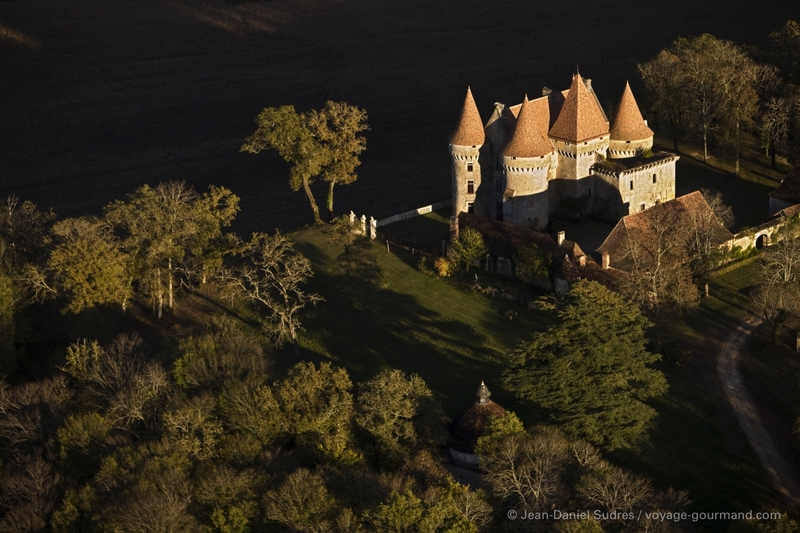 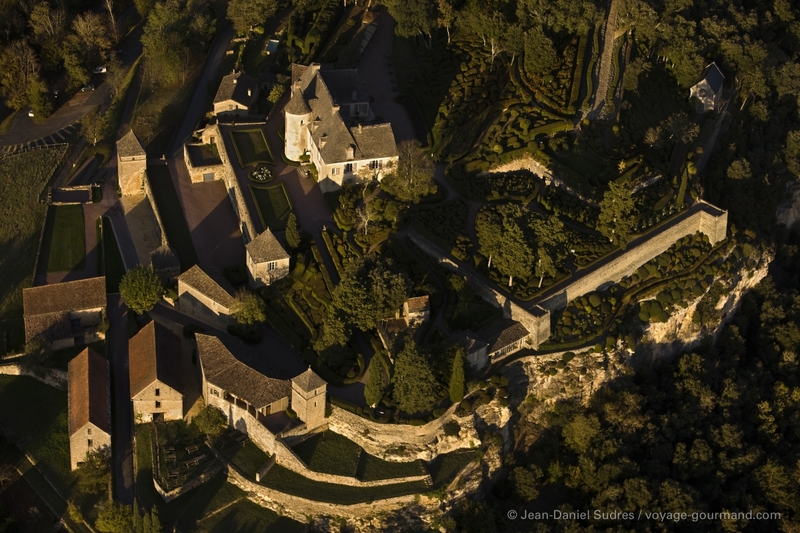 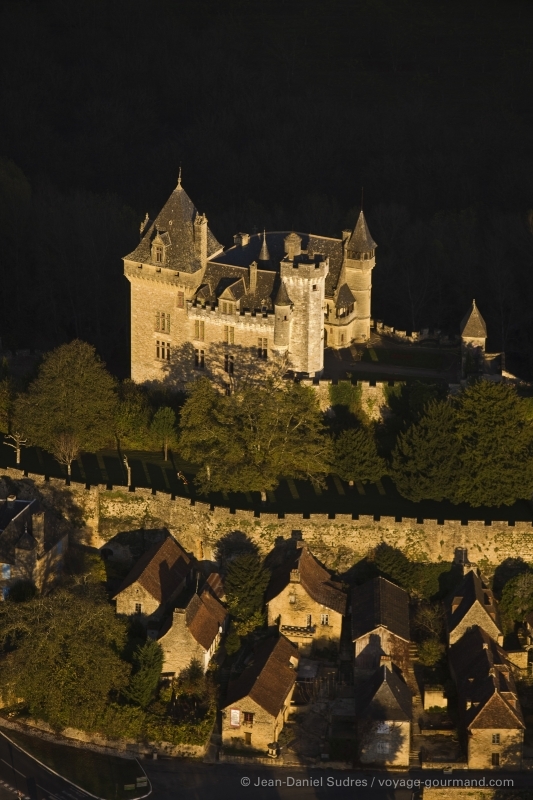 Following the Vézère river, we fly over the elegant Belcayre castle, the Marzac Castle and the Castle of Clérans in Saint-Léon-sur-Vézère.